Most homeowners want to save money by trying to fix household problems themselves. But a smart homeowner knows when to stop and call the professionals to do the job. Clogged drains are among the top five most common plumbing problems that a homeowner will experience. Here are some ways to try to open up slow running or clogged drains before getting in touch with the local plumber. Clogs come in two forms. How you deal with the clog depends on the type and where it is located. Soft clogs – This is usually found in the bathroom sink, tub, and shower. It is a blockage in the drain made of hair and skin cells. These clogs normally do not compress into a hard mass and can be pulled up out of a drain. Hard clogs – Food, grease and fibrous materials create hard clogs in kitchen drains. Sticky foods adhere to the side of the plumbing and as more material accumulates there, the clog becomes harder until it completely blocks the drain. Bathroom drain clogs – The bathroom sink, tub, and shower are vulnerable to soft clogs. A plunger may pull the clog up out of the drain. 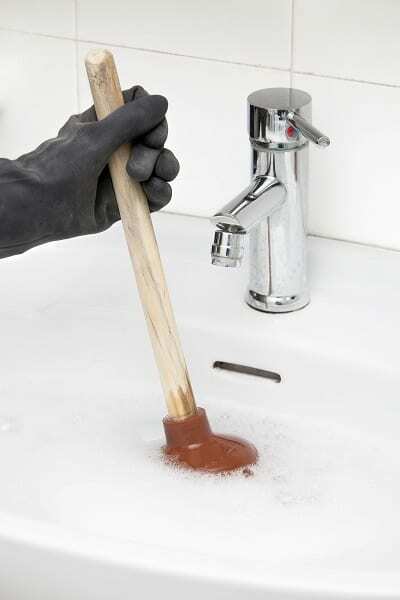 Use a cup plunger which has a flat opening that seals around the drain opening. An alternative is to use a special serrated tool or brush which reaches into the drain to grab and pull out the clog. Toilet clog – If a toilet is clogged and water is backing up into other drains, you may have a blocked main sewer line. This requires the attention of an experienced plumber to determine where the clog is and how to remove it without damaging the plumbing. If the toilet is partially clogged or flushing slowly, use a flange-type plunger to try to push the clog through. If the water in the toilet bowl is low, it may not be enough to flush material through the drain. Have a plumber install a new flushing mechanism to control the amount of water available with each flush better. Kitchen sink clogs – If caught early while the sink is still draining slowly, a cup plunger may pull a clog up out of the kitchen drain before it becomes hard and compacted. If the drain is completely clogged, it is safer to rely on a plumber to clear a hard clog. There are a few options available to try to clear a drain that homeowners should stay away from. You can damage the plumbing or cause yourself serious injury when used improperly. Chemical Drain Cleaners – The grocery store has several chemical drain cleaners available to the homeowner. But are these safe and effective? If used properly and under the precise conditions specified on the container, chemicals can open up minor drain clogs. One only needs to read the cautions on the container to understand that most can seriously hurt a person if a mistake happens. Let a plumber decide if chemicals are right for the clog. Plumbing Snake – This is a coiled wire or flexible tube that rotates as it is fed into a drain. The goal is to break up the clog with the snake. However, you can force the snake through a pipe or push two pipes apart at their connection when used incorrectly. This leaves you with a clog and an expensive plumbing repair bill. 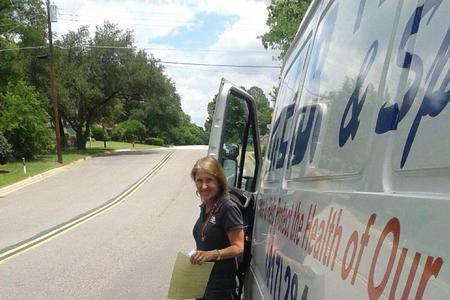 It’s important for any homeowner to know how far they can go to unclog a drain. If it doesn’t open up quickly by any of these methods, applying more force will likely damage the plumbing. Don’t risk a high repair bill and call on your local plumber to clear the clogged drain properly.